From the famous Glam Eclipse collection. Crafted from Grade A crystal glass. New contemporary crystal look. The INDI pendant features an oil rubbed bronze finish with glass shade. The unique industrial design adds exceptional appeal to this fixture and is perfect for the kitchen island, restaurants, and many other applications. The cornerstone of the Atropolis Collection is quality, and this compact fluorescent mini pendant is no exception. Combining a classic rubbed bronze finish and tea-stained shade, you will find no better way to highlight the charm of your home. With the superb craftsmanship and affordable price this fixture is sure to tastefully indulge your extravagant side. 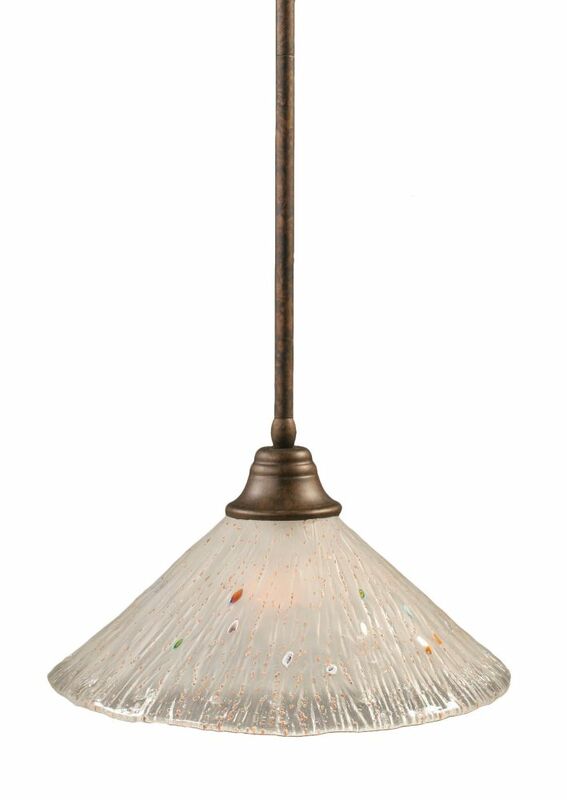 Concord 1 Light Ceiling Bronze Incandescent Pendant with a Frosted Crystal Glass The cornerstone of the Concord Collection is quality, and this incandescent pendant is no exception. Combining a classic bronze finish and posh styling, you will find no better way to highlight the charm of your home. With the superb craftsmanship and affordable price this fixture is sure to tastefully indulge your extravagant side.